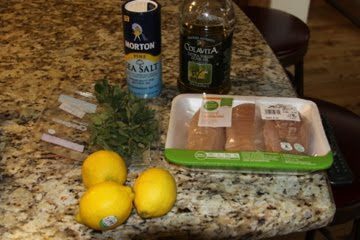 Cut chicken breasts into bite-size pieces and thread on eight 12″ skewers. 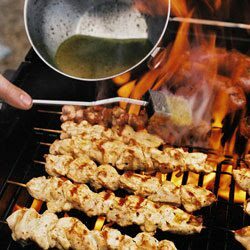 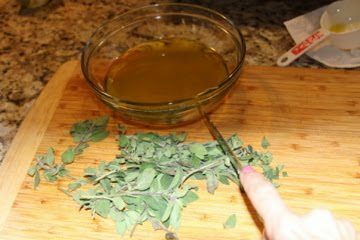 In a shallow pan (large enough for skewers), mix fresh lemon juice, extra-virgin olive oil, and chopped fresh oregano. 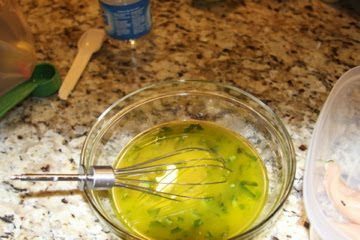 Season with salt, then add skewers, cover, and refrigerate for 2 hours. 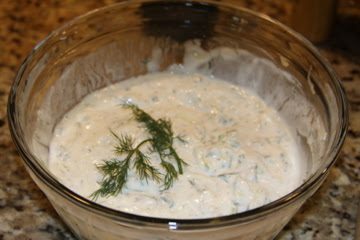 2 (8 ounce) containers plain yogurt 2 cucumbers – peeled, seeded and diced 2 tablespoons olive oil 1/2 lemon, juiced salt and pepper to taste 1 tablespoon chopped fresh dill 3 cloves garlic, peeled In a food processor or blender, combine yogurt, cucumber, olive oil, lemon juice, salt, pepper, dill and garlic. 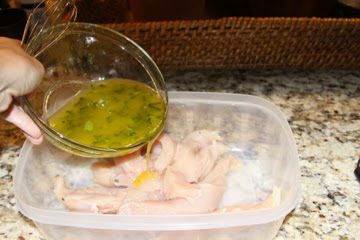 Process until well-combined. 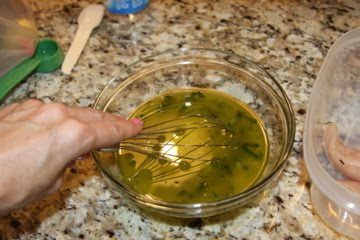 Transfer to a separate dish, cover and refrigerate for at least one hour for best flavor.